Why do some people succeed and others do not? It’s simple… consciously or unconsciously, it’s about being in sync with the laws of the universe. Sounds strange? There are two important universal laws of creating success. Think about this for a moment. We have not been able to visualize the consequences of these laws because they were unknown to you. We can, however, see the consequences of man-made laws or the physical laws like the Law of Gravity. Therefore, what you need to do is begin understanding how these two laws work and integrate them into your life. You will then become conscious of them and see how everything is connected. As a result of this awareness, you will succeed. 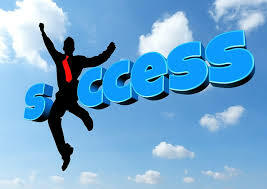 The two most important laws of creating success are the law of attraction and the law of action. Simply put, with these laws, you must think outside the proverbial “box” and look toward creating greater achievements in your life. You should not let anyone else put thoughts of failure or set limitations for you. You must think, feel and work for success. You should exert yourself to expand your boundaries. With all the richness in the world, you deserve part of it. However, many of us have a tendency to undervalue our own dignity, self-worth, standing and credibility. Mahatma Gandhi said, “A man is but the product of his thoughts – what he thinks, he becomes.” With the law of attraction, comes the opportunity of abundance. All you have to do is tap into the “invisible” power inside you. The important thing is to believe in your mind that you can succeed and then take the first step. Just to begin thinking this way completes the first half of the job. Then, if you work toward your goal with all your heart, why would failure ever cross you mind? When you think fear, poverty and failure, that’s exactly what you will manifest into your life. Clearly, it’s not anyone’s intention that we live in poverty or worry about not being able to pay our bills when we are surrounded with abundance. In order to take advantage of the law of attraction, we must think strength, think health, think riches. What you achieve today is a direct result of the sum total of your thoughts of yesterday. Whatever choices you make, life will give it to you. If you visualize and emphasize your worries, your fears and your negative attitudes, your life will become overwhelmed by them. You will make them your reality by your practice of failure. Conversely, if you control your thoughts, you will control your environment, and in turn, possess the ability to create success. Once you have understood the law of attraction, then you must implement the law of action. We often meet people who give many reasons why they cannot succeed. Their excuses range from a lack of ability, worried about finances or things out of their control. Their minds are inundated with negative thoughts. Remember the old adage…“you reap what you sow.” Most of the great achievements, like the invention of electricity, have been accomplished with tremendous difficulty and hard work. In the movie, the Matrix, Keanu Reeves plays a character called Neo. Neo went from being a sceptic about his own capabilities to understanding what is possible for him to do when he truly believed he could do the unthinkable. Within each of us there is a “Neo”…a force to be reckoned with! This may sound cliché, but it is possible for you to have anything your heart desires in life…you just have to believe in yourself and become conscious of the universal laws of creating success!